After my encounter with Stephen Lawhead’s book (review here), in which I was totally lost, I was hesitant to read anything with the name of Lawhead on the cover. 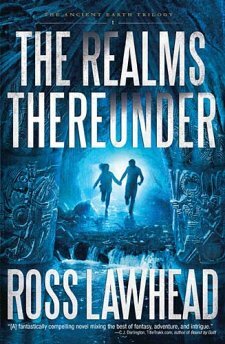 Thankfully, The Realms Thereunder, by Ross Lawhead (Stephen’s son) is an excellent book, which I thoroughly enjoyed. Although, it seems to be a Lawhead family trait to enjoy sometimes discombobulating the reader. The book tells of Freya and Daniel, schoolchildren who accidentally stumble onto a hidden world while on a field trip to a cathedral. There, they meet two knights who have been asleep for a thousand years, but who awake when Daniel blows upon the enchanted horn. These knights bring them to an underground city, Nidergeard, where they are tasked by a powerful wizard to retrieve and destroy the heart of Gád, evil captain of the Yfelgopes, who are sworn to destroy the underground city. But all this is merely a footnote in a greater battle, in which the fate of the world hangs in the balance. The Realms Thereunder is somewhat confusing because half of it is told from the perspective of ‘today,’ with Freya and Daniel as grown 20-year-olds. The other half is told as ‘seven years ago.’ The two stories simultaneously unfolding reveal to you what you need to know, when you need to know, but the choice to write the book in this way is still a little bit…unique. Overall, though, I didn’t have much trouble keeping up with things, although I was confused at some points, particularly those viewpoints of Freya in the real world. The author’s characters are good, although the strange, sick Freya from ‘present day’ just annoyed me. I had more success relating with Daniel, who finds himself homeless at age twenty and abandoned by his mother who never cared for him anyway. The knights with their outdated way of speaking were of course fun and amiable characters. An in my opinion, the best author is one who does not specifically tell his readers which characters are the villains, but instead, leads them to discover them on their own. Freya’s professor is one such villain, gradually roping her in without so much as a clear nod either way as to what side he is on. I eagerly look forward to seeing more of him in book 2. But if we looked only at plot and characters we’d only be seeing half the story. Writing quality itself is very important (especially to a writer like myself) and this is the area where The Realms Thereunder lags. Omniscient point of view is scattered throughout the book, and conversations are very frequently not shown, but instead told. Lastly, the ‘Christian’ label is a bit of a stretch, particularly in the area of curse words. This book really went close to the edge of what I’m personally comfortable with and I don’t really like to see something with a ‘Christian’ label go that far. Still, it is up to your own discretion. The Realms Thereunder is overall a good book, particularly the story which draws you in. I rate it at a solid three stars and a half, and recommend it to those of you who like fantasy and end-of-the-world scenarios. Though a few writing flaws drag this book down a little bit, I’m still going to be looking for the sequel when it comes out. Sounds like an interesting read, and I appreciated reading your thorough review. I haven’t read anything by any of the Lawheads, though I’m planning to read Stepehen L’s Robin Hood trilogy. I had about the same opinion of the book when it comes to writing style. It wasn’t very Christian at all, and I got really annoyed in general with Freya. 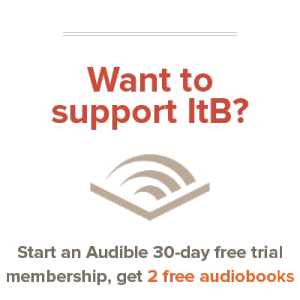 I’ve read a few secular novels that have used the approach of unfolding the backstory while also keeping with what’s going on in the present before, and I can honestly say that sometimes that technique can be enjoyable. If the style was a little more consistent then it might have been better. Great review.